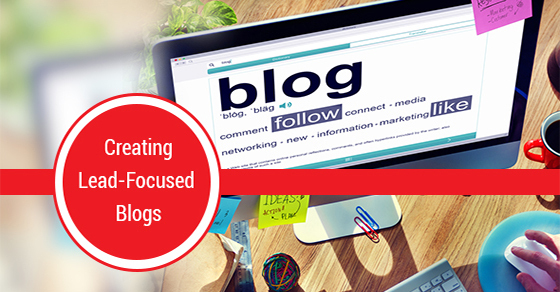 The true purpose of blogging for most businesses is not just to earn readers, but to generate leads for the company. While how-to articles and list posts may attract readers, generate social shares and gin additional traffic, they’re still unlikely to generate leads. Similarly, writing informational blog posts containing tips and tricks will increase your overall traffic and help you become an authority in the industry, but they don’t always contribute directly to your lead generation. When writing blog posts for the purpose of lead generation, quality is much more important than quantity. It’s far better to have one qualified lead who is ready to make a purchase than dozens (or even hundreds) of junk leads that require extra work to validate and convert. The best way to generate quality leads is to write targeted posts that are detailed and authoritative. This will help you gain traction with your target while providing useful information that can help other readers learn from and avoid similar mistakes. For every three of these posts, you should be able to generate at least one good lead. When Neil Patel was still building up his consulting business, he wrote a post targeted at Like.com titled Like.com’s Untapped Search Potential, and received a phone call from the founder within hours offering him a one-year contracting job. Proving to be the optimal way to create leads, he continued to write posts targeted at specific businesses. These posts were not too long or overly complicated, but provided enough information to catch the attention of executives. He reviewed the company’s current strategy, outlined mistakes they had made, and described how they might improve. By prioritizing feedback based on the changes that would have the biggest impact or would be the easiest fixes, he provided these executives with a clear demonstration of how his expertise could benefit the company. He used data to back up his claims and avoided offering opinion as executives respond better to pure facts. While this strategy is pretty specific to consultants and marketing agencies, it demonstrates how one can attract customers with carefully targeted content. When employing this or a similar strategy, always be sure to pick your target carefully: You will not need much traffic to generate leads, but picking the wrong type of company can lead to anger, or no response at all. Larger businesses are unlikely to generate leads as things move too slowly and there are too many layers of executives to penetrate before your work reaches someone capable of acting on it. Instead, target startups! It’s important to promote your lead-generation content. Just because you have written it well doesn’t mean that the people who need to see it will. You have to make full use of social media channels to get it out there! Tweet at companies you have mentioned or targeted to ensure they see it and share it across all platforms for best coverage. You can also email executives of your targeted company with the link and a brief introduction. When creating blogs with leads in mind, always think about what the potential client or customer wants. Tailoring your content towards the eyes you want on your page is the easiest way to turn a reader into a buyer.